Throughout the history of Buddhism, little has been said prior to the Twentieth Century that explicitly raises the question whether we have free will, though the Buddha rejected fatalism and some Buddhists have addressed whether karma is fatalistic. Recently, however, Buddhist and Western philosophers have begun to explicitly discuss Buddhism and free will. 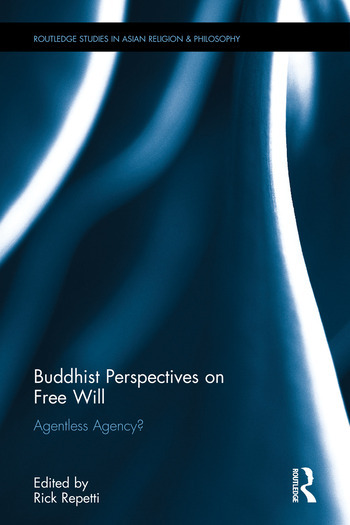 The first book to bring together classical and contemporary perspectives on free will in Buddhist thought, it is of interest to academics working on Buddhist and Western ethics, comparative philosophy, metaphysics, philosophy of mind, philosophy of action, agency, and personal identity. Rick Repetti is Professor of Philosophy at Kingsborough Community College, CUNY, USA. He is the author of The Counterfactual Theory of Free Will (2010), as well as several articles on Buddhism, meditation, free will, and philosophy of religion.